Jaigarh Fort is located on the top of the hill, by the name of Cheel ka Teela (Hill of Eagles). 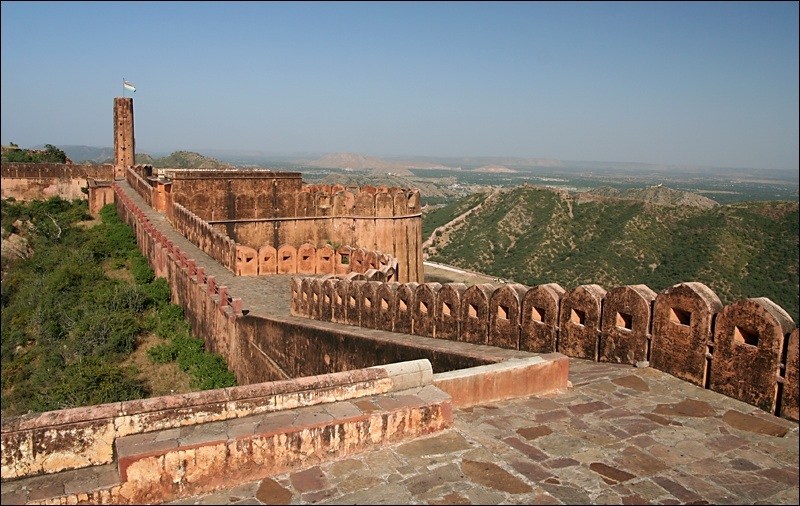 Jaigarh Fort is also known as the ‘Victory Fort’, located at a comfortable distance of 15kms from Jaipur. Jaigarh Fort is considered as one of the spectacular forts in India. 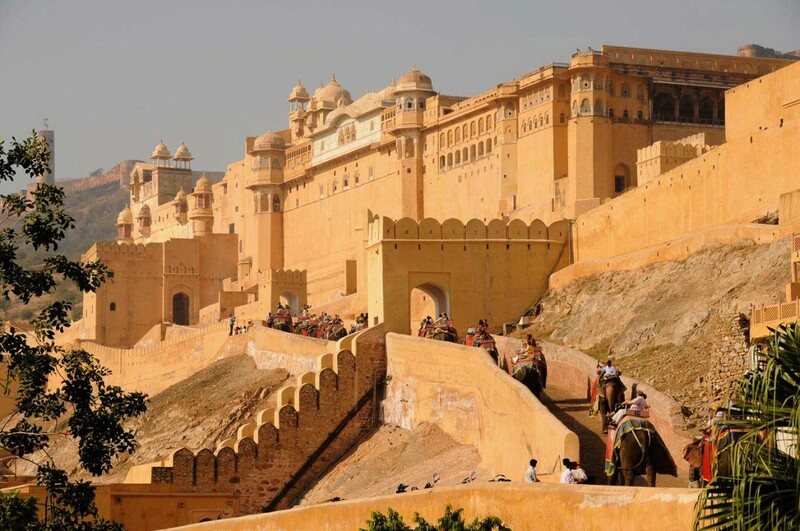 This Fort is on top of the hill, while Amber Fort is at the bottom. Many people regard the two as one complex however both of them are well connected with well guarded passages. 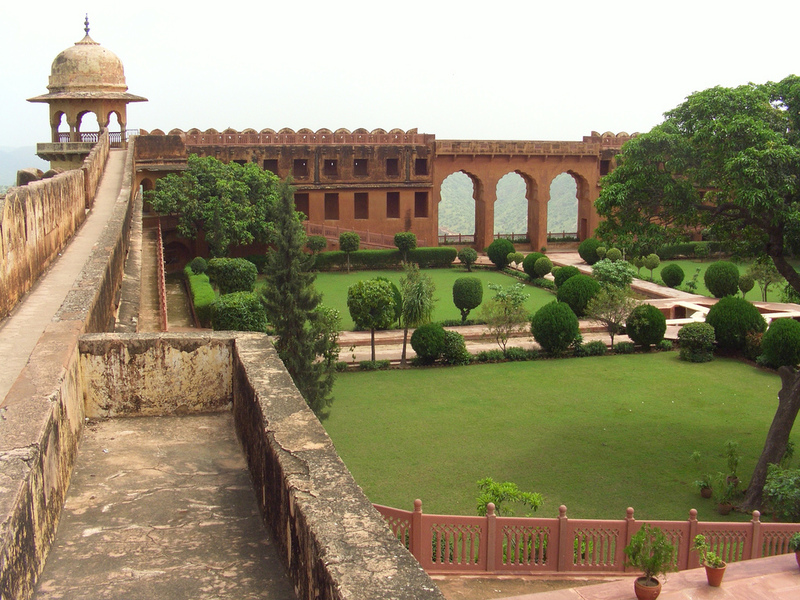 Jaigarh Fort positioned centrally in the thorn-scrub hill, leaves a stern impact on the spectator at once. 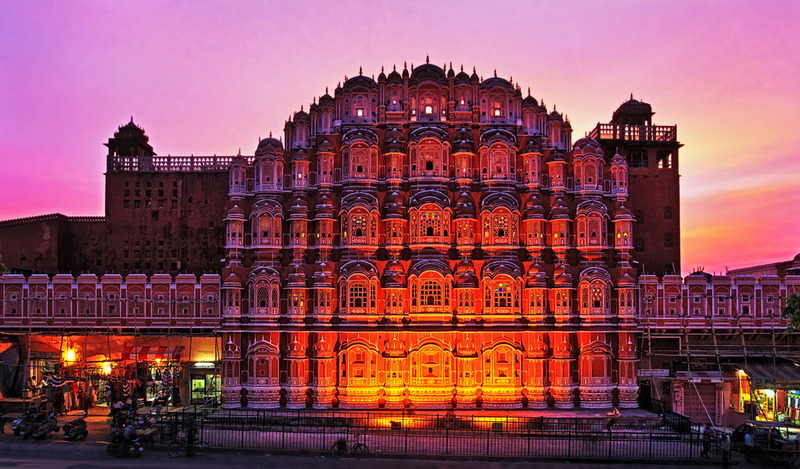 Jaigarh Fort was made to tighten the security of Jaipur and Amber. Due to this fact, one may not find this fort as artistic as other forts and palaces, but it certainly has its own charm. 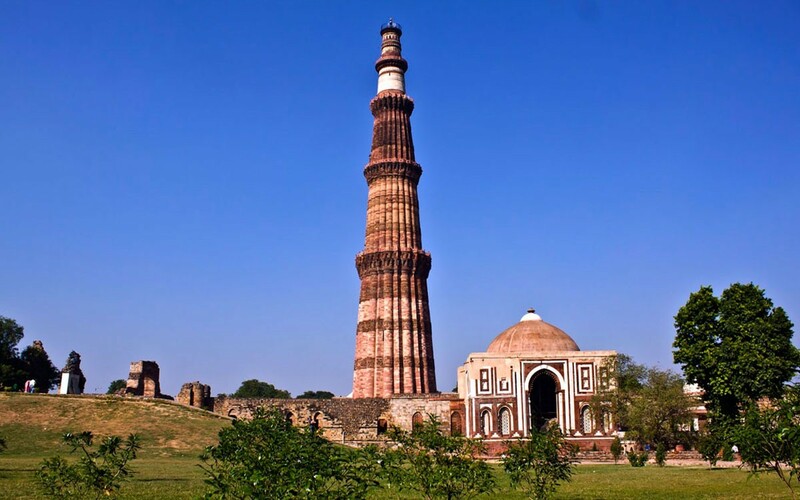 The Fort has many structures of medieval India, which are worth exploring. It has several palaces, granary, well-planned cannon foundry, several temples and a tall tower. Jaigarh Fort used to serve as the center of artillery production for the Rajputs. The highlight of this Fort is the massive cannon by the name of Jaivan, which was made in the same production house. Jaivan, the cannon, is believed to be the largest cannon in the World and the main attraction of the Jaigarh Fort. The Fort discloses the mastery over architecture of the former age. Jaigarh Fort has many wide water channels, which were a part of a rainwater harvesting system. The Fort also has 3 underground tanks, the largest one of which can store 60, 00,000 gallons of water. One can plan to visit the armory and museum, which are worth seeing. The museum has a remarkable collection of coins, puppets, photographs of the royal kings, buildings, processions and even a circular pack of cards besides many other remnants of the past. The armory has numerous swords, shields, guns, muskets and even a 50 kg cannon ball, which would take you back to the gallantry days of the Kings. One can also see a few weather beaten sedan chairs and drums at the Shubhat Niwas or the Meeting Hall of Warriors. Above all, the Fort offers a wonderful view of the city below. 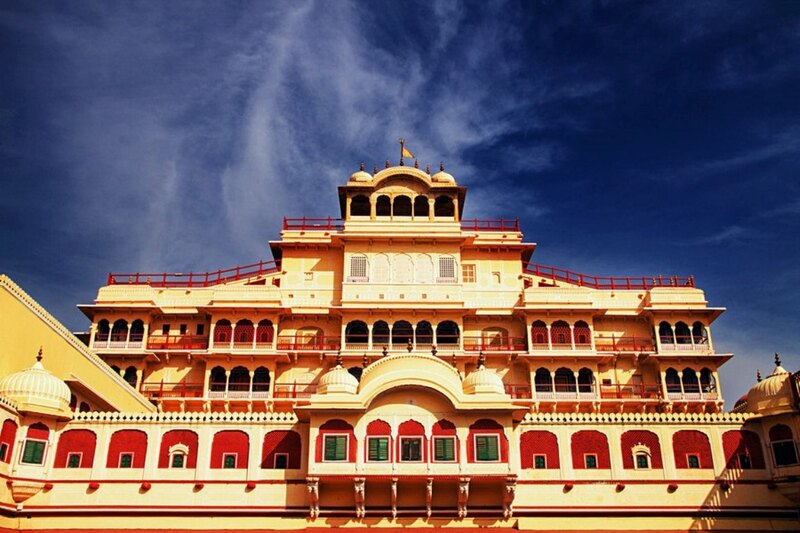 Jaigarh Fort is a perfect destination for a traveler, interested in the majestic past of India.